When love is not enough to hold it silently in your heart, express it the right way with these plant combos from FlowerAura. Accompanied by teddy bears, chocolates, flowers or just more plants, these combos will never let you down. We know how much you care about your loved ones. We know how much you treasure them and how much they mean to you. That is why plants make the most meaningful gift to send as not only your wishing them good luck but health and prosperity too which shows them that you love them unconditionally. 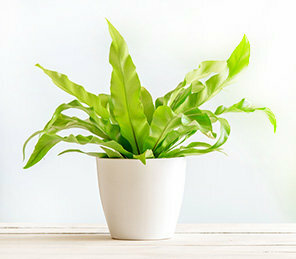 Plants, apart from their numerous health benefits, signify growth and prosperity. Some of them are also supposed to good luck and wealth to the house they sit in. Their unique charm to bring a never before beauty touch to the interiors of the house is just flawless. With plants, the house seems airier and ambience feels more fresher and more energetic. To put the cherry on the cake, FlowerAura has brought forth the option to send plant combos to your loved ones because we believe, that two gifts are always better than one. What Kind Of Plant Combos Could You Choose for Your Beloved? You name it and we have it. Whether you wish to send plants and chocolates combo, flowers and plants combo, plant and teddy combo or just two plants complimenting each other, the choice is all yours. FloweAura believes that love could be express in more than one way and that is why we have loads of options for you to choose from. You could opt for any plant variations combo and surprise your loved one with this unique yet thoughtful gift. To make your love reach to your beloved, we try to make the fastest delivery possible.FlowerAura provides same day delivery to relay your emotions to your loved ones as fast as possible. We all spend a lot of time thinking about gifting someone something that one thing that could make them skip their heartbeat and these plant combos are designed to just have that effect on your friends and family when they will receive such an overwhelming gift from you. They will be delighted and know the deep affection you carry for them in your heart. Plant itself is a blissful gift and when combined with beautiful, fresh flowers with sweet aroma and vivid colours arranged in a mesmerising bouquet, cute bag, signature box, heart shaped arrangement or anything different that you wish for, it becomes an ultimate gift to show your beloved that how much you miss them and care for their health and prosperity. Combine the thoughtful gift that a plant is with the sweet, sinful indulgence of chocolates and you have something that screams love, care and affection for your paramour amour and it is bound to make them cheery at heart, squealing with delight and happiness. Not only it conveys your emotions but also relays your care for them. A cute best friend forever to accompany the plant signifying love and care you have for your beloved makes a special combo altogether. No one could resist the cute face of a smiling teddy and to gift a life is the highest form of adoration you could show to your near and dear ones. Two plants potted in a quirky pot is sure to bring a smile on the face of the recipient and even you couldn't escape the charm of these plants if you wish to buy something for yourself. Next time if you wish to buy gifts for mother, father, sister, friends, beloved or any other dear one in your life, be assured that going with plant combos is the right choice to make.